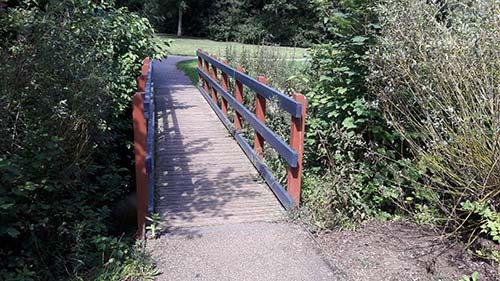 This proposal for a new walking circuit for Two Mile Ash – incorporating a footbridge and new woodland paths – is being put forward by the Two Mile Ash Environmental Group, TMAEG (a well established community group with some 200 members). 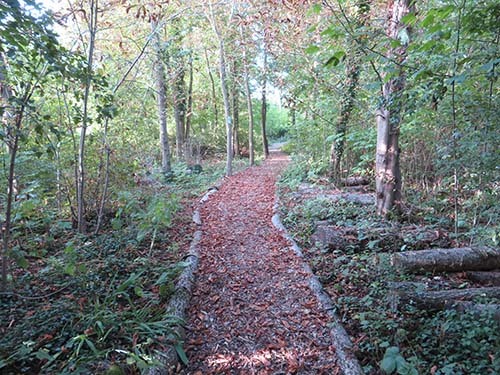 It would involve land in public ownership on the southwestern edge of TMA; most of which (the ‘green ride’ land and the greater part of the woodland ) is held and maintained by Milton Keynes Parks Trust. Currently the potential of this land for public recreation is limited by the physical barrier of a steep sided stream (designated by the water authority as ‘Watercourse M169’). By bridging that stream and creating the new walking circuit we can open up this green edge of Two Mile Ash for public amenity use, especially by TMA residents. There would be obvious physical health benefits to be gained from the enhanced local opportunities for walking, a matter which has been highlighted recently in a recent campaign by the Government agency, Public Health England: Everybody active, every day. This campaign extols the merits of a brisk ten minute walk every day – this is the time that would be needed to complete TMAEG’s proposed walking circuit. Moreover, our community would gain by increased exposure to nature and the cohesion that derives from the close involvement of local people in projects such as this one. We see the circuit as being a very attractive amenity for Two Mile Ash. It will provide proper access to a fine Norway Maple wood planted some 40 years ago, with the added attraction in spring of the swathes of english bluebells that have become established there. There are many other wildflowers to see and the proposed footbridge promises to be a feature of interest in its own right. Moreover, the circuit would connect to other walking routes within Two Mile Ash, expanding the range of walks and the possibilities for a regular stroll. The circuit has been put forward as an MK50 associated project, although it is expected to be realised in 2018; this would be subject to the necessary approvals and subsequent sponsorship. It is based upon new (as well as existing) infrastructure and is planned for the long term – to benefit both ourselves and future generations. We see it as a fitting addition to the amenities of Two Mile Ash, and a contribution to our city’s greenspace use as a whole as Milton Keynes enters its second half century. Map 1 (below) shows the location of the proposed bridge and the paths that would be linked to it. An existing log and chippings path that passes through the woodland between Milesmere and Thorncliffe. This was constructed by TMAEG, based around a pre-existing track – and has been managed by us for the past five years. 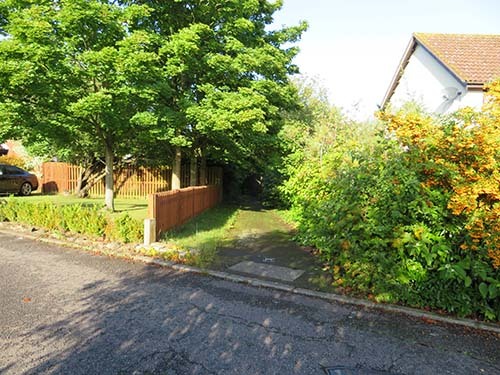 The existing ‘green ride’ running northwestwards parallel to Watling Street and as far as the existing stream. A new footbridge (this is a footbridge in Emerson Valley Linear Park, similar to the proposed bridge), that would cross the stream, joining with a short section of new log and chippings path connecting with. . .
. . .the continuation of the green ride reaching to the junction of TMA High Street with Watling Street. And diverting from this. . .
…emerging onto the green directly opposite Fairways. Local streets and footpaths would complete the circuit. 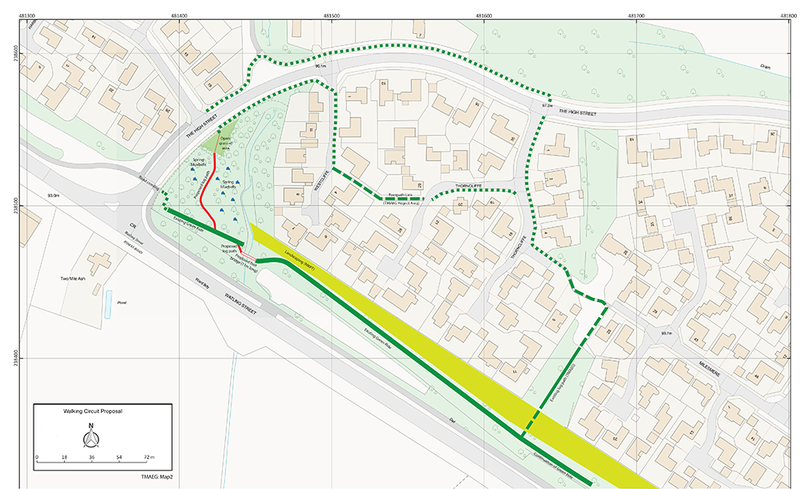 In terms of the wider links, walkers using the new circuit would be able to connect with the Fairways area via: the footpaths serving that distributor road and its five culs de sac (Fig.8 below) . . .
. . . the section of green ride running between The High Street and the western corner of TMA at Monks Way H3 (Fig.9 below). . .
. . . and, along the eastern edge of the area, the Redway connecting The High Street with Kiln Farm (Fig.10 below). 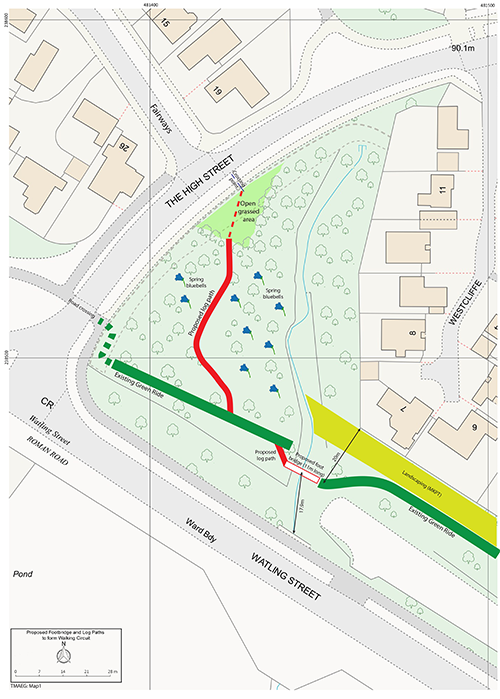 To the east, from the junction with the Milesmere woodland path, walkers can, as now, follow the green ride towards the southern corner of TMA and from that area there is access to the street network. Following initial discussions with the Parks Trust, TMAEG has taken specialist advice to determine the most suitable form of crossing of the watercourse. 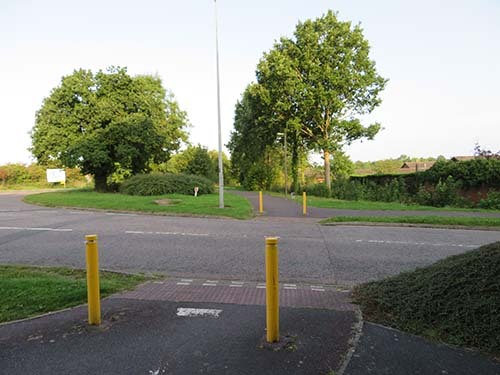 We have earmarked a particular location which would place the crossing some 10m away from the line of a marked gas main and also direct pedestrian traffic away from residential properties – see Planning below. At this point the separation between banks is some 8.7m, with the stream bed some 1.8m below. We looked at two technical options for a crossing, a footbridge and a culvert solution, in which the stream flow would be accommodated in a wide pipe embedded in concrete, this forming a base for a bridge deck spanning the two banks. The advice we were given was that, while both options would be feasible, a conventional footbridge would be less expensive; this was on the basis of a relatively light structure that would not need elaborate, deep foundations. Under our present proposals, a bridge deck 11m in length would be installed between two concrete seats to be designed for us by a bridge engineer. The bridge superstructure would be constructed for us by the Parks Trust to a standard design used in many of the City’s parks. For robustness and longevity, the deck would be built around steel beams. With an internal width of 1.2m it would accommodate motorised disability scooters and wheelchairs as well as pedestrians. Assessed as a planning proposal, we believe that the walking circuit would be of substantial overall benefit to Two Mile Ash and that any adverse impact would be low and able to be mitigated. As well as planning approval, consent would also be required from the Internal Drainage Board but from initial conversations with their staff we do not foresee any significant difficulties. 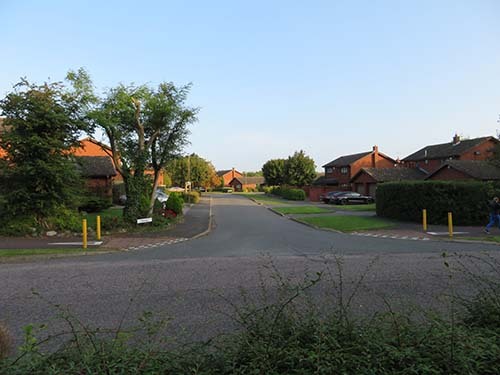 Residential impacts – We have looked at the likely impact of the circuit on residential amenity. 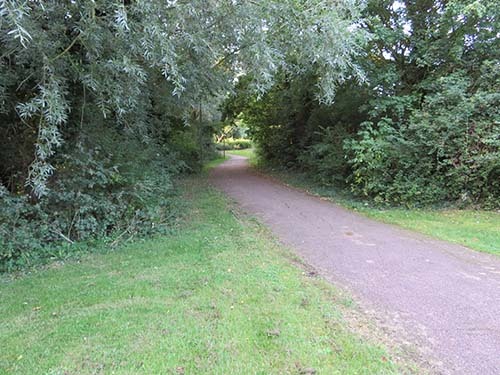 Once it ceases to be two mainly ‘dead ends’ interrupted by the watercourse, but part of an attractive footpath network, we would expect the use of this section of the green ride to grow significantly from its present low level. 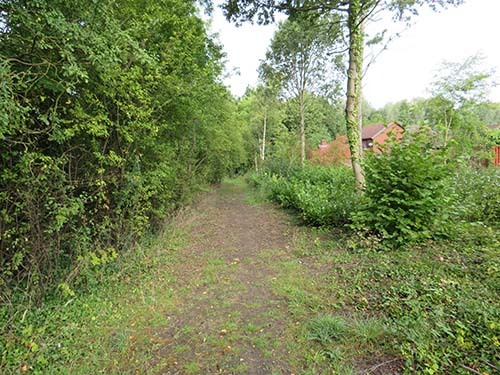 However, while this route runs parallel to the rear boundary of nine properties served by Milesmere, Thorncliffe and Westcliffe, there is a wide landscaped buffer strip between the green ride walking track and those rear boundaries; this provides a significant degree of screening. Its outer edge is defined by an evergreen hedge. This section of landscape strip is a minimum of some 9m deep, extending to some 20m depth at its southeastern end. The footbridge itself would be set a minimum of 20m away from the closest property boundary and the path leading to it would diverge away from that boundary (Maps 1 & 2) . Given this separation and the screening, we do not think that the bridge and those crossing it would be visually intrusive in views from the closest properties and neither do we feel that it would impinge on the privacy of those occupants to any significant extent. Moreover, we do not consider that the increased use of the green ride would significantly affect the amenities of the neighbouring residents. 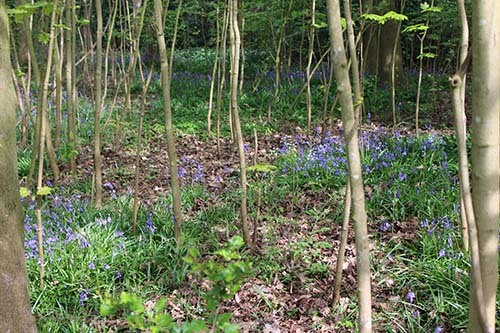 The main new woodland path would branch off from the continuation of the green ride to the north west of the bridge, to follow a curving route around the western margin of the bluebell area. 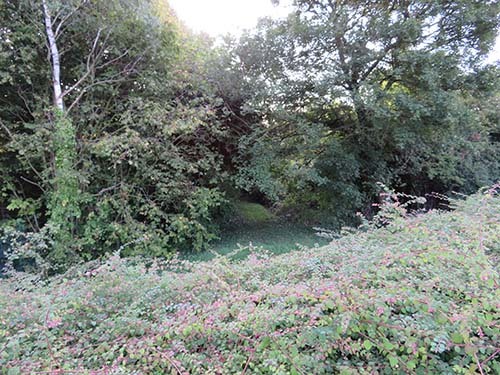 Properties on the western side of Westcliffe, that back on to the woodland, would be protected from intrusion from users of that path by the distance involved, coupled with the barrier presented by the stream in its deep channel. It would be our expectation that the attraction of more regular use to the existing green ride paths by those who are genuinely seeking to enjoy them would bring with it a self -policing element that would deter misuse. Trees – In determining the line of the proposed log paths we have sought to retain all the existing mature trees. However, that may not be possible, or desirable in respect of the footbridge. There are some tall field maples on each bank close to the proposed line of the bridge and we anticipate that at least one of these would need to be felled to physically accommodate the crossing. From a preliminary examination, these field maples appear to be over – mature with evidence of dead branches and we will seek advice on whether any further trees would need to be removed or have limbs pruned. The principle that TMAEG has adopted in all the environmental schemes that it has created so far is that it seeks to look after them once they are in place. In this area we already carry out such maintenance to the Milesmere woodland path and we would be happy to discuss with the Parks Trust similar arrangements for looking after the new log path and as a local presence for keeping a watch on the circuit generally. There are technical steps that remain; for example we need to have it confirmed that there are no underground services that could affect the siting or installation of the proposed bridge. 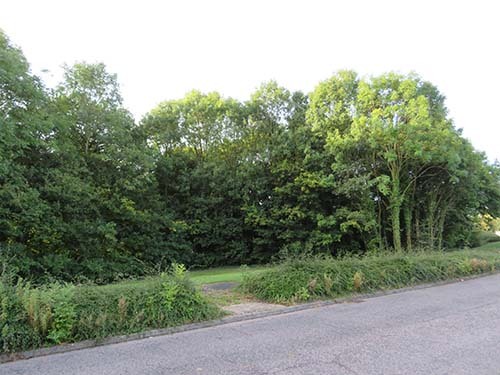 We propose a four week period of resident consultation and engagement which will include residents whose homes back on to the green ride and the woodland. We will also be talking once again to Abbey Hill Parish Council who we spoke to at the outset of these plans. This will precede any planning application, a process that would involve further consultation. On the assumption that planning approval is granted as well as consent from the Internal Drainage Board, we will then seek funding from private companies and other funding bodies.